There’s a supernatural transaction that happens between us and God when we read the Bible with the intention of being taught by God. We dwell in God’s Presence as we seek Him through reading His Word. Keys: Read slowly and attentively. Listen carefully for the voice of the Holy Spirit speaking to you as you read God’s Word. Take time to look up the meaning of words you don’t understand. Watch for God highlighting a certain passage to you. Pay attention to things that stand out to you as you’re reading. This is God trying to speak to you and teach you. Write down the things that stand out to you and spend time thinking about how they apply in your life. One of the first things I did when getting to know God was start in the book of Psalms and read with the intention of knowing more about God and how He interacts with humans. I got a journal and wrote down everything in the Psalms that I learned about God; His character, how He acts and reacts; what pleases and displeases Him, etc… Then I asked God to help me apply the things I was learning to my life. I wanted to be a person who pleased God. I wanted to turn away from things that displeased Him because I wanted to receive all the promised blessings that He has for His obedient children. This proved to be such a beneficial time in my life; and even today, many years later, I find great delight as the Lord speaks to me and teaches me about Himself as I read the treasured Scriptures. Here are some online Bible Dictionaries to help you in your studies. Here are some online Lexicons. The Word of God is alive and powerful! Expect to meet God every time you sit down to read His Word. As you do, you’re learning what the Kingdom of God is all about. The Word of God teaches us how to be Kingdom citizens. Be sure to read just what the Scriptures say and not fall into the pattern of associating what you think they mean or believe based on teachings you’ve heard. It’s also important to understand the context of the text. Don’t just pull out one verse and make a doctrine out of it. Understand what was going on in the time and culture of the day, to help you come up with the correct interpretation. Remember, Scripture exists to help us know God, His ways and our place in His Kingdom. Don’t read the Word for information. Read it for transformation. There’s no end to the depth of the Word of God. One can read the same passage over and over again and the Lord is faithful to bring out new nuances and highlight meanings and lessons to you that you never saw before. 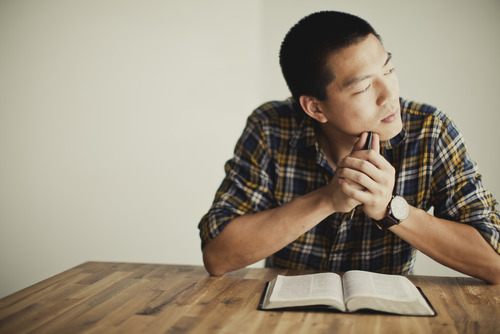 Check out these scripture verses that teach us the importance of studying the Bible. Declare this now: Thank You God, that I am being transformed into the image of Messiah every time I sit down to know You more, through reading Your Word.